Came out of the Santa Barbara Museum of Art yesterday after viewing the Wright Ludington Collection, and saw many people on the streets looking upward and taking photos. 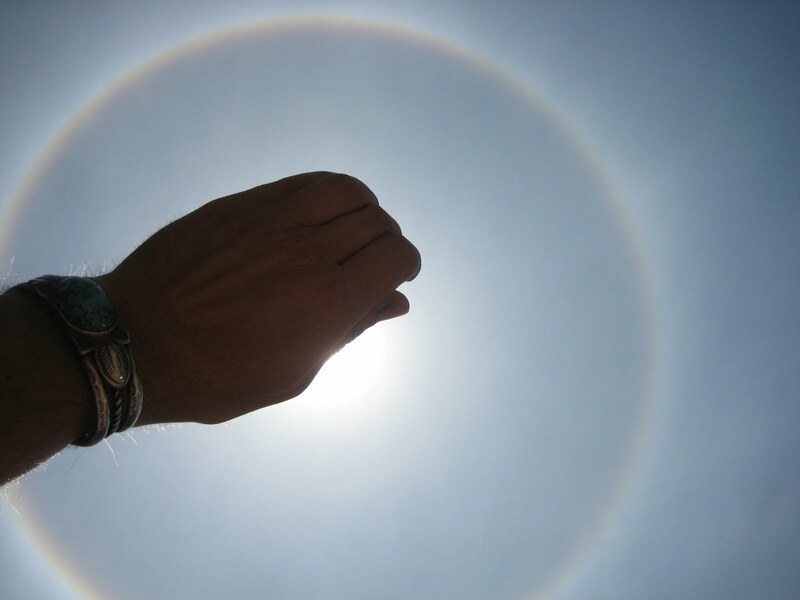 I turned my gaze skyward to see the most spectacular circular rainbow around the sun. Ice crystals in the upper atmosphere, were refracting the mid-day sunlight like a prism, creating this rainbow effect. Some day I'd like to capture one of these "Sun Dogs" in a painting. I've seen them appear at night around a full moon. I wonder if they call these, "Moon Dogs". My understanding is it's nature's way of warning us, in a strange way, to pay attention to what lies ahead. Coming events cast their shadows...and it looks like rain!